I gave up on it. Found I didn't need it. I'm using the ResMed P10. I pull the F20 out every once in awhile and try it out. Makes me appreciate the P10 when I start taking it for granted. I am using the airtouch f20. 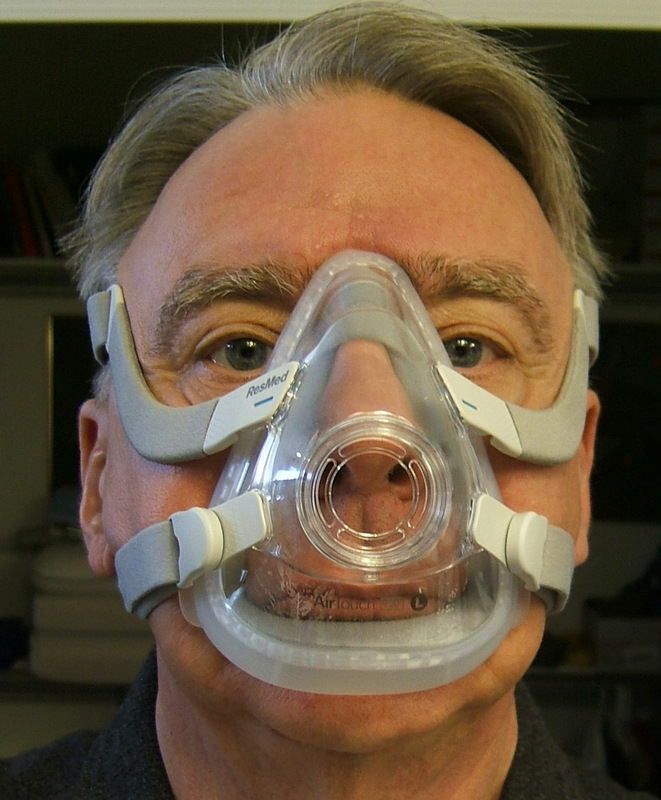 The top of the mask hits the bridge of my nose, bottom middle of the chin. It sounds like the large is too big for you Alessio77. (02-28-2018, 02:00 PM)readyforsleep Wrote: I am using the airtouch f20. The top of the mask hits the bridge of my nose, bottom middle of the chin. It sounds like the large is too big for you Alessio77. Here is a pic....what do you think? (of the fit)? Size seems fine but you might have it on the tight size especially looking at the bridge area. How does it feel? I have these AirTouch cushions still, but I've not tried it again in a while. The AirFit seals better for me. And despite my big internet mouth, I've got these cushions in Small. to the AirTouch still, I'd do 4.5 if it were available. (02-28-2018, 03:24 PM)yankees123 Wrote: Size seems fine but you might have it on the tight size especially looking at the bridge area. How does it feel? It feels ok. I actually began the night looser, but the leak was extreme, so I tighten up a bit (maybe two or three times during the night) to try to stop the leaks but was not successful. Usually, as with my other two masks, tightening slightly will solve the problem, but not this time! This shows a different fit, more like I wear it on the bridge of my nose below the eyebrows. You know, I can't even tell where the leaks were!!! Deep Breathing seemed at least to know that his were around the nose. I just laid down and tried the MASK FIT function on the machine, and then imitated sleep for 15 minutes, and had no leaks I felt, and no leaks indicated on the machine. (did not record for SH). Maybe the elbow coupler was not inserted fully or properly last night. or maybe I had the mask too tight from the beginning so it only got worse as I tightened it during the night. I will be going to bed in about 4 hours, so we will see what happens tonight. That pic show it way down on the bridge of the nose compared to my pic. So maybe I do need a smaller size?